Over the past week, the Nineteenth Congress of the Chinese Communist Party (CCP) has seen an outpouring of support for strengthening environmental protections—a theme which was central to Xi Jinping’s opening speech. This event comes amid an intensified environmental crackdown across the country. Beginning in late July, drawing on the vivid metaphor of ‘cutting with a single knife’ (yi dao qie), the Ministry of Environmental Protection (MEP) began a surprise round of environmental inspections of factories in the Jing-jin-ji region, the area that encompasses Beijing, Tianjin, and Hebei province. The focus was primarily on smaller and older factories, which are recurring violators of environmental regulations. These inspections quickly expanded to all the provinces, with the MEP publishing notices in the People’s Daily explaining that this protracted period of strict observation will become the ‘new normal’. While these activities have received some attention in the Chinese media, at present very few reports can be found in English. In this essay we focus on the implications of this latest campaign in Chengdu. However, it is clear that this is a nationwide shift in policy implementation with implications for all of Chinese society. 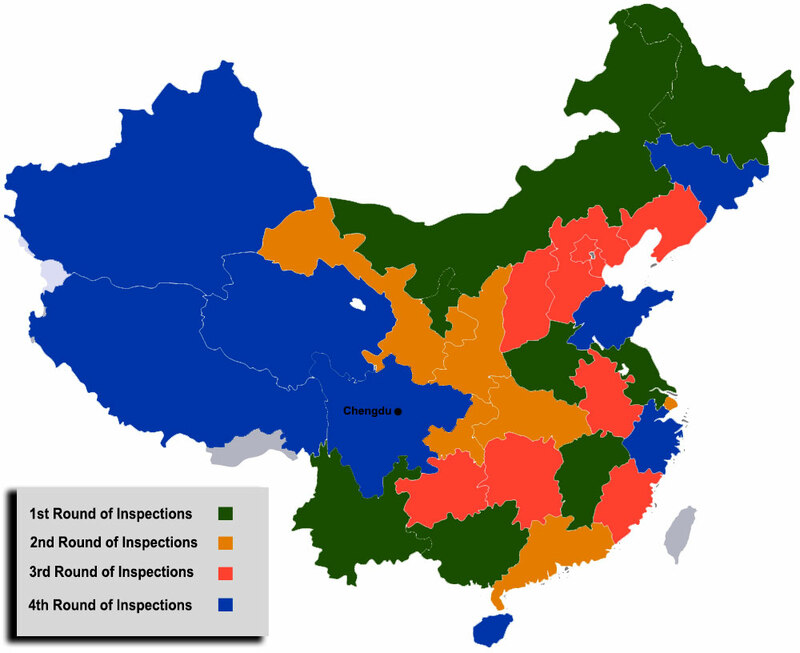 Figure 1: Map of China’s Central Environmental Inspections. 1st Round: 12 July – 19 August 2016; 2nd Round: 24 November – 30 December 2016; 3rd Round: 24 April – 28 May 2017; 4th Round: 7 August – 10 September 2017. While the past three months have seen the implementation of stricter controls, a four-stage series of routine environmental investigations began in July 2016. The real crackdown began during the third-stage, with an especially damning report of Tianjin officials on 29 July 2017. The critique of the typically powerful Tianjin officials resulted in an unprecedented number of follow-up environmental inspections orchestrated by local Environmental Protection Bureaus across the country. As a consequence, an increased number of factory closures were seen in provinces that had been visited by the central inspection teams over the previous months. These recent closures have already begun to impact China’s export business. On 13 September, while one of us was interviewing a logistics manager for a vehicle maker in the United States, the manager asked us for information about the recent factory closures in China. He had received multiple emails from suppliers in China explaining that deliveries would be delayed and prices would be increased due to the environmental inspections. Additionally, suppliers in China were informing the manager that these price hikes would be permanent, as the environmental policies now in place were intended to be enforced indefinitely. Similar reports have been published on cargo shipping blogs (here and here). Bloomberg has also recently noted that with thousands of factories suddenly closing there will be major logistical disruptions as the peak consumerist period in the US and Europe arrives before Christmas. However, as of yet very little information about what is actually happening on the ground in China has been reported. Since we have both been conducting research in Chengdu we will draw from recent concrete examples found in that city. As we will show below, some factories were closed even before the fourth and final stage of the central environmental inspections, which began on 7 August 2017 and included Sichuan with a heavy focus on Chengdu. The local authorities issued an urgent call for all government agencies to collaborate with the inspectors, but insisted that factories were not to be shut down without proof that the law had been broken. Any violators would be fined heavily and potentially forced to close. In total, the inspection team ended up disciplining 1,023 officials. According to one of our informants within the Sichuan Environmental Protection Bureau, there is a great deal of fatigue within the various local environmental protection agencies. This is due to the fact that these offices are forced to continue implementing follow-up inspections with the same number of people and limited resources that they had before the central inspection teams arrived. Regardless, as of the time of writing, the local inspections continue with no apparent end in sight. Naturally, this pressure has been met by the business community with mixed feelings. This was evident in the circulation of many fake news reports of damages to China’s economy due to the delays and price increases caused by the inspection teams. One informant who spread such information admitted the inspections had no impact on their own business, but simply felt it was important to support other business owners in China by reposting calls for the removal of the strict policies. There have also been false reports that the MEP reversed these policies in response to the outcry from business owners. One report misconstrued the purpose of an MEP press conference to claim that the central authorities had never required local governments to use a ‘cutting with a single knife’ style in the implementation of the new policies and that factories could now return to normal operation. In fact, the conference made no mention of allowing factories to restart operations, but stressed that the crackdown would not tolerate the formalism of closing down entire economic sectors without proper evidence. As mentioned above, from the very beginning the provincial authorities in Sichuan province issued a warning to inspectors not to close factories without proof of violation. When the business community started complaining about ‘unfair’ practices during the inspections, China Environmental News sent a reporter to provide in-depth coverage of the impact of the policies on different industries. The reporter claimed that not all factories or businesses of a given industry or service were being closed, but rather that environmental bureaus in Chengdu were specifically going after those companies that were in violation of the law. However, none of this reporting has paid any attention to the impact of the crackdown on the workers within the factories or businesses that have been closed. To gain a better understanding of the impact these environmental inspections have had on local businesses and workers, we take a closer look at Chengdu’s footwear industry. The local footwear sector experienced a period of successful economic development in the first decade of the 2000s. Industrial relocation from China’s coastal provinces and a large, relatively cheap, skilled workforce have enabled Chengdu—together with Chongqing—to become the fourth largest footwear production base in China, behind the traditional and primary production centres in Zhejiang, Guangdong, and Fujian provinces. Footwear companies in Chengdu focus on the production of medium to low-end women’s leather shoes. In particular, the industry cluster in Wuhou district has been officially labelled ‘China’s Capital of Women’s Shoes’ (zhongguo nüxie zhi du). The structure of the industry—consisting mainly of small and medium enterprises, and many unregulated or unregistered workshops—as well as its proximity to the city centre, has unsurprisingly made this footwear cluster a major target of environmental inspections. According to official media reports, by 30 June 2017, 7,600 ‘scattered, polluting enterprises’ (sanluanwu qiye) in Chengdu had been ‘temporarily’ closed because of environmental inspections. By the end of October, this number should reach a total of 9,400 firms. While we do not have access to independently verifiable figures with regards to the footwear industry, several online accounts point to a massive wave of closures. By mid-August, more than 90 percent of the estimated 3,000 footwear companies in Chengdu’s Wuhou and Shuangliu districts had been ordered to halt production. In addition, the few remaining firms that had been allowed to stay in business were confronted with difficulties in doing so, as most of their supplier factories were also affected by production stops. It is important to note that ‘temporary’ closures of footwear firms are in line with environmental policy, but also with broader urban planning objectives and local industrial development strategies. Since 2007, with the adoption of the so called ‘one capital, two parks’ (yi du liang yuan) guideline, it has been official policy to focus on the establishment of an R&D base as well as a trade, information and service center for the footwear industry in Wuhou District. Manufacturing facilities were encouraged to undergo industrial upgrading and/or to relocate to footwear industry parks in the peri-urban counties of Chongzhou and Jintang. This policy of upgrading and relocating has since then been intensified with the establishment of industrial parks in rural parts of Sichuan province (e.g. Anyue, Lezhi, Santai) and the urban planning objective of transforming Wuhou District into a development hub for creative industries. Seen from this perspective, the recent rounds of environmental inspections highly increased the pressure on business owners who have, thus far, been reluctant to either invest in upgrading, or to move further away from Chengdu. This pressure weighs more heavily now that even the MEP has explicitly linked the environmental inspections to the broader national objective of industrial upgrading. Figure 2: ‘Stand firm! Shoe factories, we are with you’. This picture was circulated during the environmental crackdown by the footwear supplier company and B2B platform ‘Zhao Mi Dou’, which is operating in Chengdu. Confronted with forced production halts, business owners have organised themselves under the guidance of the so-called ‘Chengdu Footwear Business Association’ (chengdu xieye tongye gonghui), a platform for local footwear producers and suppliers established in 1998. The Business Association undertook an investigation across the local industry, and on 21 August sent a detailed report to the municipal authorities urging them to pay attention to the extent of the closures, the number of workers driven into unemployment, and the economic losses generated by the environmental inspections. Over the following weeks, several meetings between business and government representatives took place. While acknowledging the unavoidability of large-scale relocations out of Wuhou and Shuangliu districts, the Business Association demanded more time to prepare for the relocation process and was granted permission to resume production in the meantime. Arguably, one of the most interesting aspects of this collective effort by business owners was how they tried to advance their position by pointing to the danger of social instability. In another report delivered on 21 August, the Business Association warned that the current situation of tens of thousands of unemployed shoe factory workers might lead to ‘mass incidents’ (qunti shijian). In fact, collective protests by workers pushed into unemployment due to recent environmental inspections have been documented in Tianjin, as well as Shandong, Hunan, and Hebei provinces. However, similar public protests could not be verified in Chengdu’s footwear industry. Since the beginning of August, workers in several factories where we conducted research started to express their anger at the closure of their workplaces and the ensuing uncertainty they faced. One way of expressing their frustration was to share videos of protests by unemployed workers elsewhere. They would also share unverified accounts and rumours about physical clashes between inspection teams and workers in the area. The most widespread form of articulating dissent on social media was to write and share cynical comments and poems (See the example in Figure 3 below) directly criticising central state policy and the ‘specialists’ sent to enforce environmental protection at the expense of the livelihood of the workers. Figure 3: Commonly shared comment found in WeChat groups discussing recent factory closures. Translation: Thanks to the hard work of the government, in the name of environmental protection, chemical plants, plastic factories, brick factories, gravel pits, steel foundries, buildings, mines, lumber yards, and the livestock industry have all been shut down. The price for all kinds of goods have increased, sources for goods have dried up, trucks have stopped deliveries, workers have all been laid off, even business owners are about to close shop. This year air quality in the city and the countryside has reached a ‘safe to eat’ level of cleanliness, everyone can relax and ‘drink up’ that Northwest Wind! If you like this, share it. Besides expressing their frustration on social media, the immediate reaction of many shoe factory workers was to go back to their rural home villages and to wait there until work in Chengdu could be taken up again. Many are rural migrant workers, and can easily reach their village within hours. This has been a common strategy for local shoe production workers in recent years when there is no work available due to reduced production orders. Towards the end of August, as it became clear that most of the small and medium-sized factories in Wuhou district would not resume production, an increasing number of workers began to move on to new footwear industrial parks further way from Chengdu. Whether these relocation processes succeed, remains to be seen. Fieldwork conducted prior to the environmental crackdown suggested that the majority of rural migrant workers employed in the footwear industry were determined to stay in the urban area, while the younger generation (under the age of 30) is particularly reluctant to take up these precarious factory jobs. It should also be stressed, however, that the local government(s) in Chengdu deployed a broad range of measures to ease tensions and aid unemployed workers. According to official media reports, by the first week of August, the municipal authorities had already organised 49 job fairs in the districts that were most severely affected by company closures and successfully provided 6,000 new job opportunities. Apart from job fairs, a special government hotline that promised to help workers find re-employment within 48 hours was set up. 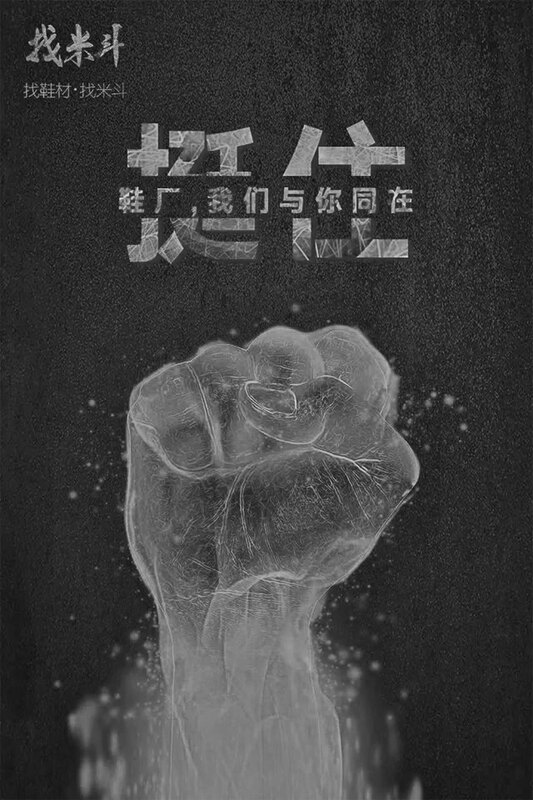 Finally, every company that agreed to employ workers affected by the recent closures has been promised subsidies of 5,000 yuan per job/year over a period of three years, with the government paying the employer’s share of social security contributions for the newly employed workforce. In other words, this does not appear to be an example of local officials engaging in ‘formalism’ by requiring factories to close while investigators from the central government are in town. Instead, the local government appears to recognise that environmental closures are tied to larger calls for upgrading manufacturing systems and reforming economic production. While it will undoubtedly not be a perfect transition, the state is clearly attempting to pair re-employment services with strict enforcement of environmental regulations. Perhaps this is a prelude to the kind of governing strategies to expect from both the central state and local government now that the Nineteenth Congress of the CCP has concluded. In the near term, we will all need to pay closer attention to this intersection between environmental protection and industrial transformation. 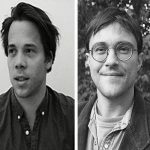 Daniel Fuchs is a PhD Candidate in the Department of Development Studies at SOAS, University of London. His research focuses on migration, workers’ struggles, and state-labour relations in Southwestern China. Edwin Schmitt is a Postdoctoral Researcher at the University of Oslo. In the past, he has conducted ethnographic and survey-based research on environmental consciousness in the city of Chengdu. 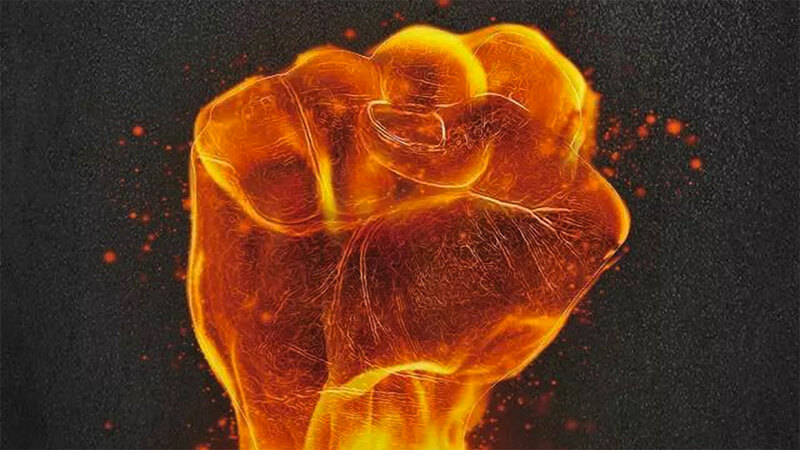 His current project aims to examine how the production of energy has been connected to the formation of, and changes within, the broader political power structures in recent Chinese history.